Free travel is just one of the peak perks of art: in the course of this year I’ve been to places I’m not sure I’ll see before I expire. A portfolio of painted pictures at the NGA have broadened my horizons and I’ve a few more pit-stops on the choo-choo train before we screech to a halt on Dec 31. 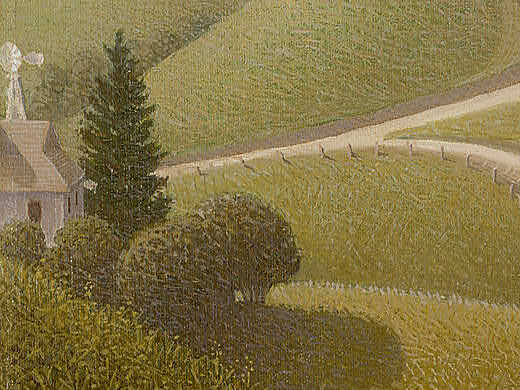 I’m taking us into the heart of America today, with two artists who capture this country’s rural charm with disarming visions. 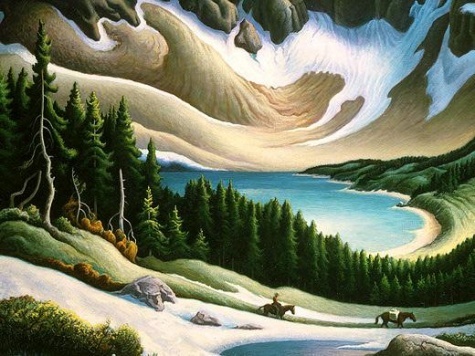 Both Grant Wood (1891 – 1942) and Thomas Hart Benton (1889 – 1975) resisted the trend towards abstraction that dominated American art in the 1920s and 30s: instead they stuck to the figurative convention, reflecting life in more realistic terms. 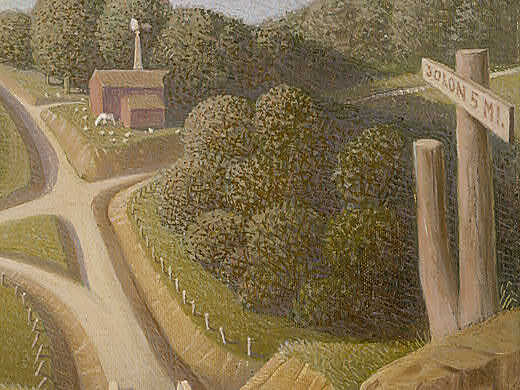 Wood became one of the best-known American Regionalists (that is, scene painters), after the enigmatic farming couple in his American Gothic made his name. The NGA’s work New Road (1939) reveals the influence of Netherlandish Renaissance painting that so much seeped into Wood’s way with paint during his travels in Europe. 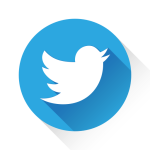 So for instance, there’s a persnickety approach to detail all around: witness the blades of grass, tumbling pebbles, wood grain patterns and rivulet-ridden mudbanks. But then he also wants some quantifiable quirkiness in this snapshot of the Midwest: I’m not sure if it’s the soaring rise of the road, the slight soft-focus of the colors and contours or the fable-like feel of the subject-matter, but something makes New Road utterly riveting, despite its (let’s be honest) initially dull demeanor. 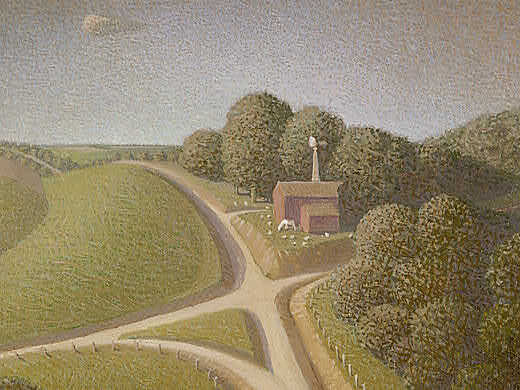 Benton is a bit like Wood in that he too rejected Modernism and chose to chart the character of land-based life in the US as a Regionalist. The son of a US congressman, he’d rejected the family’s traditional career of politics in favor of art, and came up with an idiosyncratic and beguiling style. Call me coo-coo, but I’m totally taken by this painting Trail Riders (1965), in which kitsch colors and swirling lines lift a mountain view into magical other-wordliness. Perspective is pretty standard on the one side, with forms diminishing into the distance, but then the colors on those far-off hills are saturated beyond what they’d be in real life. 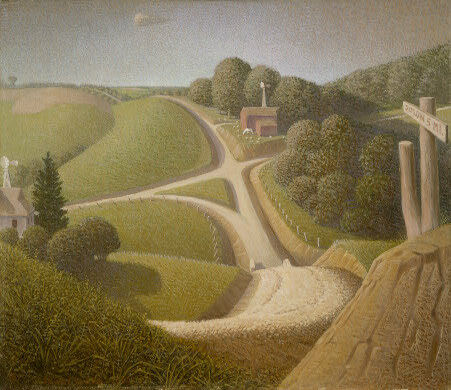 I have a sense too that Benton re-jigs the layout of the land to offer an attractive panorama, complete with pretty dip down, parallel bands of green grass and fir, and a kind of cake-and-icing confection on those rocky risings. 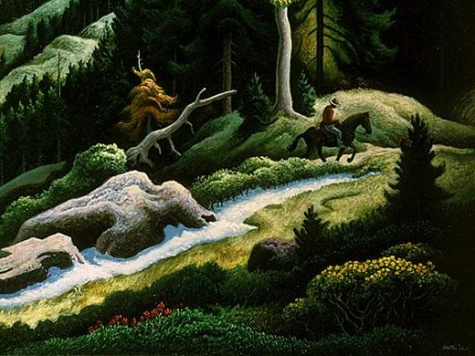 Both Wood and Benton sign off on lush and lovely interpretations of US scenery, strengthened by decent doses of observation. But when it comes to these two, rigour and realism usually come served alongside a big dollop of oddness and a sweet slice of whimsy. 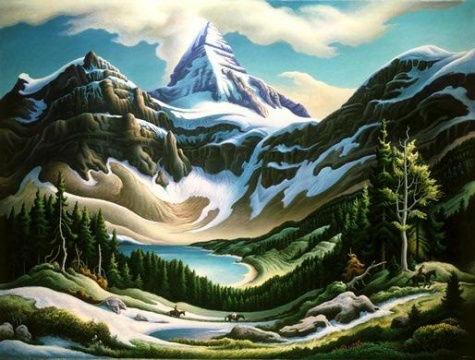 Just a note that the Benton painting is not America, but Canada, and depicts Mount Assiniboine, well north of the 49th parallel.